SME Opportunity: Ensuring access to credit and capacity building for small business through partnership with La Inmaculada Credit Union Limited (LICU). 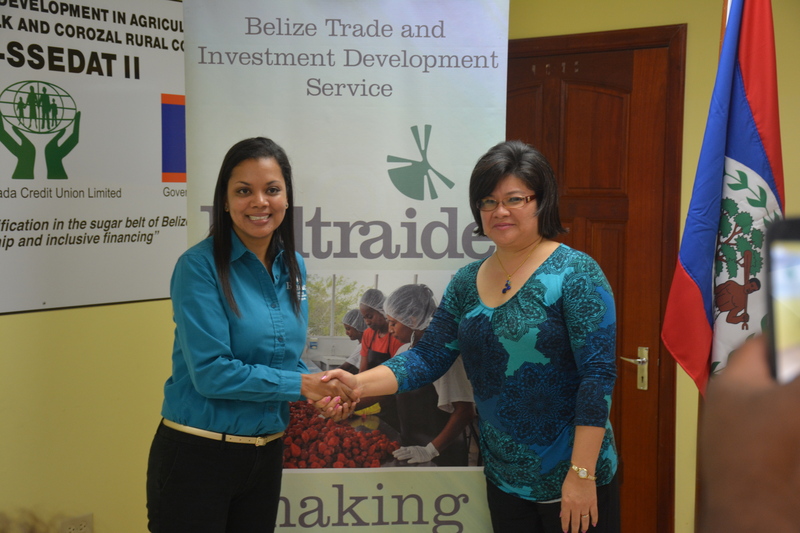 December 3, 2014- On the 3rd December, 2014 the Belize Trade and Investment Development Service (BELTRAIDE), through its Small Business Development Center, SBDC Belize signed a Memorandum of Understanding (MOU) to benefit local Micro, Small and Medium-Sized Enterprises (MSMEs) in the areas of credit facilitation and credit management with La Inmaculada Credit Union Limited. This collaboration is expected to better connect our clients to much needed start-up or expansion capital and better prepare them to actively participate in a competitive environment. In addition to assisting new clients, the collaboration will also benefit existing clients of the La Inmaculada Credit Union Limited, who may want to enhance their business management practices. The signing of the MOU will be held on Wednesday December 3rd, 2014 at the LICU Small Scale Enterprise Development and Training (SSEDAT) Center, Orange Walk Town, between both parties. It is one of several initiatives being taken by both institutions to support small and medium size business development in the country. Interested persons are asked to contact any of the La Inmaculada Credit Union Limited Offices at 5 Park Street in Orange Walk Town or at 2 Forest Drive in Belmopan City or BELTRIADE’s Office.